Is this why Tata Motors' share price is going through the roof? The 'Game-changer' is being offloaded? With Bhattacharyya obviously now out of the way, any major impediment to getting rid of JLR at the UK end has gone. JLR was his gravytrain for his WMG. Tata has tipped off the journos and financial analysts that one way or another JLR and its Game-changer are history for Tata Motors. Hence why Speth has effectively done a runner, and the once push behind the I-Pace now seems half-hearted at best. The I-Pace can be seen already in retrospect as the tipping point for Tata, not a life saver for JLR, but a death warrant signer. Tata realised that not only was it a sales flop, but that it meant JLR had committed itself to tens of billions of pounds of cost, if it pursued its 100%-EV policy over the next 5 years or so, just to try to keep up with VAG and co, which they, Tata, had no intention of funding. The I-Pace was the swing of the axe, which had been poised above JLR's head since 2015/16. Better to have gone out with a bang, gas-guzzling, niche £200k SUVs, than to have the 'Is this a joke?' I-Pace as your epitaph. - now the duped first-owner/flipper wants just £59,999 for a car worth max £45k in the trade. That 'bid' wouldn't have been fraudulent, to get saps to think the car was desirable, in a bidding war? As I said, the whole car, everyone associated with it, from Ian Callum, to the lying journos, to idiots like this geezer in Lancashire, thinking he can fool someone to part with £60,000 for a joke, is toxic. Just to amuse myself I checked out the seller of this car and it transpires that he is described by companies house as a director of company engaged in Wholesale trading of motor vehicle parts and accessories. No doubt the Accountant will be able to cover any losses incurred ? JLR are offroad specialists after all... .
- not to mention the fake range. Any other car in the world, from any other maker, would be the subject of front page splashes in the press, demanding it be banned, customers compensated, managers prosecuted, etc. The reason that JLR is uniquely immune to all this, is the reason why the I-Pace is so appalling. The arrogance of Speth, down to the lowest technician and track worker, has caused this 'but it's a Jaguar or Land Rover', i.e, you should count yourself lucky to even be able to drive one. It's not the I-Pace, or JLR, it's the UK. Our MPs show this same breathtaking arrogance, as if they still ruled and ran a third of the world, yet wouldn't make parish councillors or bog cleaners in other truly advanced countries - not the US, obviously. The I-Pace is garbage because the system it springs from is garbage. Are there particular climatic or geographical conditions that favor one or the other standard? So what is the EPA test that favors i-pace like that? etc ..... and what does this mean for reading and understanding statically stated wltp numbers on a gaudy sales brochure and you are the first buyer of electric car? I just find it challenging to find "rational objective truths" in this. The fact that the manufacturers themselves can influence the tests - and that they run a relatively short cycle - probably explains a lot. Have now had the e-throne quattro for four weeks, say 328 km. is very easily obtainable with 20 "wheels with Hakka R3 and regular mirrors. Bjørn Nyland got just over 331 km on his 90 km / h average test in -6 degrees and unbearable salt slaps. on the same trip in the summer, although he is clearly negative to the car .. And yes, 90 km / h is low, but most of us are going out of town, and right up to the cabin. However, if you jump from Ionity to Ionity, it pays to watch as fast as you can. Recently drove from Oslo, RV4 to Gran, over to Dokka, Aust-Torpa (850 masl), E6 up to Ringebu, back to Lillehammer (long break) and finally it was charging at Hamar. Started at six degrees Celsius and ended in some pluses, dry weather. Running speed limit + 10% ish. Program Efficiency and AC at 22 degrees ECO. Arrive at 354.6 km. at the counter and 22 km. residue. range. Total 376.6 km. Consumption number 21.8 kWh / 100 km. Thundered then the E6 to Oslo at 125 km / h. at ACC with some assignments up to approx. 140 km / h to test Sport and ended at 22.7kWh / 100 km. Total for the trip. Then it is at least pretty much better than my I-Pace. Drove Oslo - Trysil and got 29.4kWh / 100. Followed the traffic mostly, ie ACC at 120km / h to the Kolomoen, and then 90. The temperature was about 2 degrees all the way and dry and fine lead. - it's pretty obvious now that the e-tron's range, in spring/late winter-like conditions, so not optimal by any means, is around 380 km, or 235 miles, or around 30 miles more than the EPA. In optimal, more like EPA 23 deg. C ambient temp testing condtions, it will be around 250 miles, or a smidge more, in line with its Europpean WLTP figure of 417 km, but which makes a mockery of the e-tron's EPA figure, but the Norwegian owners cannot and never will get their minds around Audi/VAG deliberately choosing to massively under state the car's figure, due to the almost certain repeat of Dieselgate that would ensue, and another €30bn shakedown, which they would not survive. Huge story, again, which no one to my knowledge, anywhere, on the internet or in more 'respectable' legacy media is even broaching, never mind laying out in detail. Read both Dagbladet's and Autofil's test now. Not the same test, but the same ranking of the cars. Completely different driving routes and range tests. You think that in that test, I-PACE shows false for low cut? - the I-Pace and its pushers have already gained a reputation for being bent. So we see from the two Norwegian tests that the e-tron performs well, contrary to 'Tesla Bjorn''s view. It should also be noted that the only car where the heat felt like 22 degrees and hot was the e-throne, the other two cars complaining the tests felt too cold and far from 22 degrees. 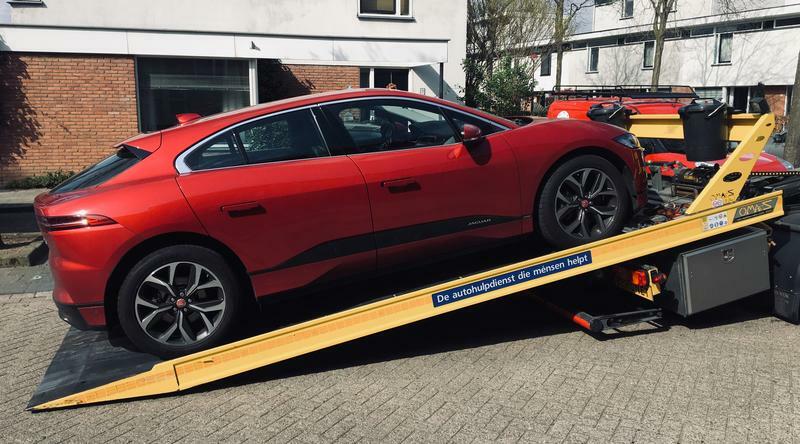 Fake cars - I-Pace and the Tesla. This is how, partly, besides outright fraud, the I-Pace gets its 470 km WLTP range. Real ~15 deg C uses a lot less kWhs than 22 deg C, especially when the car has stood overnight for 12 hrs+ in -25 deg C.
JLR lies about the fecking temp! How low can you go? What is the point of a 'luxury' car if you can't even trust the heater? Jesus wept. JLR and Tesla need shooting. They're both on the way out anyway, so that's some compensation. But the buggers have done so much damage to engineering and just integrity in the world. F'ers need making an example of - trials, long sentences etc - 'pour encourager les autres'. Bringing back Madame Guillotine for these vermin would not be too extreme for what they have done. That's exactly what you get when you do a range reset. You won't see 300 miles on reset unless Jaguar changes the battery software and you definitely won't get 300 miles actual unless you drive in a vacuum. I am quite sure that whatever he’s doing he’s not getting the range he’s claiming. So you got your 280 mile range at 70mph. That Megabus must have been flying! I think it’s time we held a properly moderated group test rather than argue in the forum. - expect this to be taken up - NOT. - I'm sure I've seen that somewhere before! F'ing disgrace that this fraud goes on in plain sight, but then the car and most of the 'owners' of this thing, like 'Chewy', are also fraudulent. Amazing story, going on in plain view, like DeLorean, Ratner, Guinness Four etc, rolled into one, and nothing in the vermin media. The possibly/probably to be announced within hours World Car of the Year is the biggest flop ever in the history of the car, any consumer good ever, and yet the vermin - media/.gov/the establishment - continue to say black is white, push water up hill, as they hope there are enough morons out there receptive to this breathtaking brainwashing. Shifting just a fraction of those would allow 100 journos to receive a 7* holiday in the Caribbean for two - ~$1 million. - ECotY didn't do the trick/fraud. Still, Easter is a time for resurrection, so maybe JLR and its hacks can pull this off. And maybe there is an Easter bunny.